The Campaign will run till the end of ICO of LUCRE project. To confirm your participation comment on this thread after filling the form. Each round will end on Saturday. For live chat about the bounty join Our Bounty Chat. We will not pay for any posts with less than 75 characters. Consecutive posts at a time to a thread will not be counted as paid, in case you want to reply to multiple quotes, try to reply them in one post. During the campaign you are not allowed to remove or change the signature of LUCRE Token at any instant of time and users found in that activity will be removed from the campaign. All the Full Member and above rank participants must have to wear the avatar of LUCRE Token to remain in the campaign. 2. From Jr. member rank to above are allowed to participate in LUCRE Token Facebook Campaign. 3. Your Facebook account must have 200 public Friends and followers. 2. 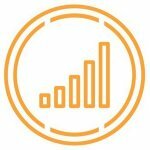 From Jr. member rank to above are allowed to participate in LUCRE Token Twitter Campaign. 3. You must have a public twitter profile with a minimum of 200 followers. 2. After joining write a constructive comment about the project on the Telegram. 1. To be eligible for the YouTube Campaign your YouTube Channel must have at least 100 subscribers. 2. Create a video with unique contents and of at least 1 minutes lengthy. 3. The video must contain a link to the official website of LUCRE Token project. Plus the description of the video must also contain the link to the official website of LUCRE Token project. 4. Don't forget to mention your bitcointalk username or your bitcointalk profile link in the description of the youtube video. 1. Create a high quality and unique articles with at least 250 words. 2. Use the logo and images of the LUCRE Token Project to give more quality to the article. 3. Give the links to the LUCRE Token Project official website and other links related to it. 4. Don't forget to link your bitcointalk username at the footer of the article. Depending on the quality of your article participants will be rewarded with 25 to 200 stakes.